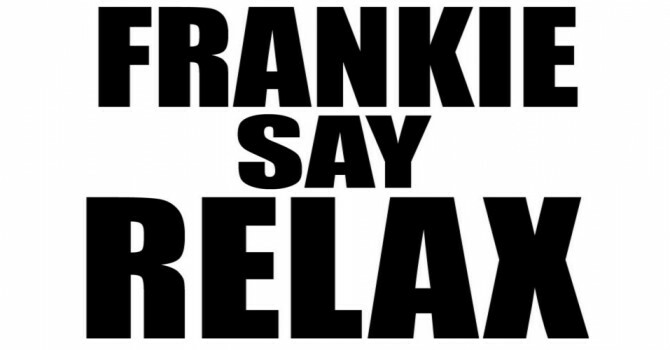 In 1983, pop band “Frankie Goes To Hollywood” released one of the most controversial songs of the last 50 years, “Relax”. This first release saw it chart just outside of the top 50 before dropping out of the charts. It was released again in 1984, when a combination of luck and design helped to catapult the band to international stardom. 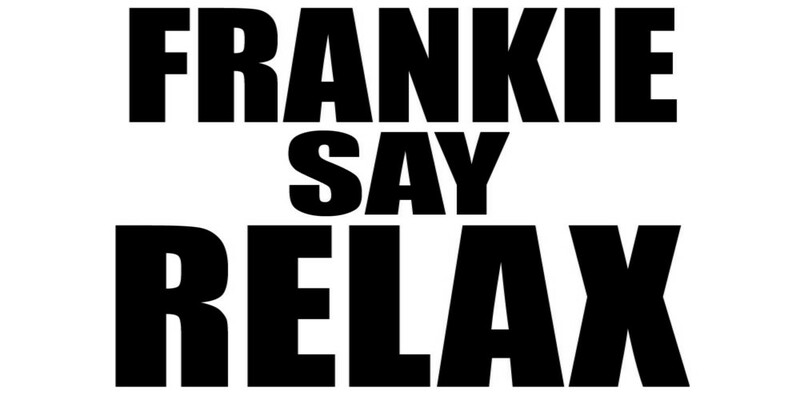 To coincide with the second release, ZTT‘s Paul Morley designed a series of “FRANKIE SAY…” T-shirts to promote the record label’s chart act Frankie Goes to Hollywood (FGTH). The official FGTH designs were particularly successful, and spawned many imitations of their own. Radio 1 DJ, Mike Read, whilst playing the record on his chart show happened to look at the sleeve of Relax, and was shocked by the sexual content. Immediately declaring the song “overtly obscene”, he tossed the record across the studio in disgust. On 10th January 1984, “Relax” was given a full BBC ban. This instantly drove the track to the number one position, creating a mountain of press and a veritable storm of outrage across the land.“Relax” was at number one for several weeks, creating a massive buzz and huge demand for more product. Everybody wanted to hear the song because it was banned, as the curiosity gripped everybody. “Top of the Pops” on a Thursday evening was the definitive TV music show, as pop videos became key to marketing a band’s brand. However, the hype initiated by Mike Reid’s comments and actions only served to propel the single to number 1. For seven weeks the BBC could not broadcast the video of the nation’s favourite pop song as they had banned all formats of it. The public and media obsession with this “banned” song was cleverly complimented with the offline media campaign through the printed T-shirts. In effect, FGTH had the public walking around in the summer acting as walking advertising boards! If that was not clever enough, it was the public that were paying to advertise as they paid for the privilege of wearing a T-shirt. Even I bought one! The lessons learnt in this campaign approach have been very much adopted in exemplar digital marketing strategies today. It can be argued that FGTH sought to attract negative publicity. This is a dangerous strategy which would not be appropriate for many brands. However creating a buzz and being part of, or the topic of, “conversation is the pot of gold that we are all chasing. Many brands strive to get a celebrity to endorse them by “retweeting” a tweet to reach the masses. Today, the prevalence of QR codes is increasing and appearing more and more on items of clothing. Is history about to repeat itself in the digital age? Could your brand benefit from using a broader range of channels to reach your customers? Could you promote your brand effectively using a key message on clothing? Do your offline marketing activities compliment your online efforts? We would love to discuss your marketing efforts with you to help you determine how you can optimise your marketing. If we can help, please contact us here.